Here is a very nice bust headless man with a silver cap. Metallic blue, it will bring a touch of modernity and originality to your windows. 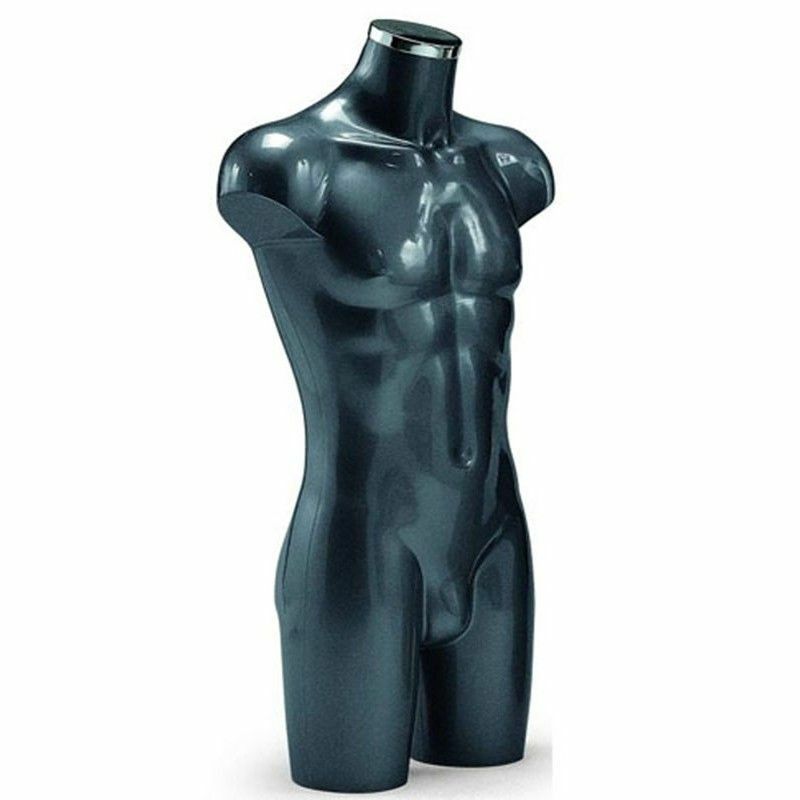 This man bust will attract the look on your clothing collections. Polypropylene, this mannequin bust is easy to handle and maintain. It has no basis because it is standing alone in balance. Available in delivery, please contact us for more information on this man bust. This beautiful blue man bust is made of polypropylene. Bust without fixing or base.